Promoting curiosity and exploration is crucial to helping achieve more effective problem-solving. Schools can play a part in developing these qualities in young people through inquiry-based learning. Curiosity may have killed the cat, according to some, but recent research shows it’s a trait that will be one of the most sought-after skills for the future. According to a report in the Harvard Business Review , when it comes to the jobs of tomorrow, cultivating curiosity at all levels can help leaders and their employees adapt and face uncertain market conditions and external pressures. The report claims that when one’s curiosity is triggered, people think more rationally and deeply about decisions and come up with creative solutions. The report also says that leaders gain more respect from their followers by asking them more questions, and employees tend to develop more trusting, collaborative relationships with colleagues. But many leaders have previously stifled curiosity out of fear that it would increase risk, costs and drive inefficiency. Those surveyed for the report said they faced barriers to asking more questions at work: a factor the report’s author claims could stem from childhood. While we’re born into the world with awe and wonder about the environment around us, data suggests that the curiosity of a human peaks at the age of four or five and steadily declines. 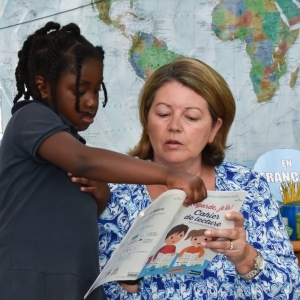 A recent push by educators to ditch traditional teaching practices in favour of a tailored, more personalised approach to learning for each child is helping to counter that. British International School of Chicago, Lincoln Park Head of STEAM, Tom Collins, said that no matter what year a student was in, one could not under estimate the power of asking questions. Asking questions through an inquiry-based form of learning is a cornerstone of the curriculum at Mr. Collins’ school. 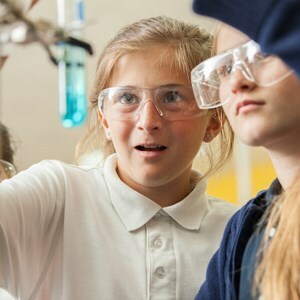 By introducing interdisciplinary learning through STEAM subjects at a primary school level, students begin to draw connections between different parts of their curriculum by learning from various projects, thereby growing their curiosity. 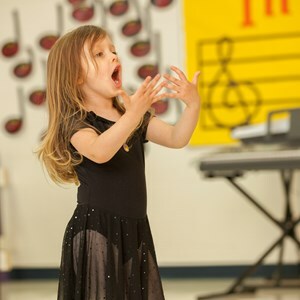 “When children start seeing connections, they become curious,” Mr. Collins said. 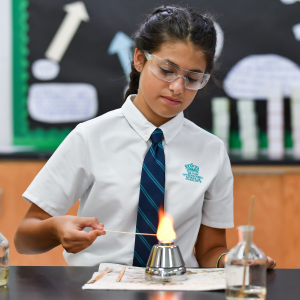 Part of Nord Anglia Education, a leading global premium schools organisation comprising 56 schools in 27 countries, BIS Chicago Lincoln Park leverages education materials and teaching best practices on STEAM learning, exclusively designed by the Massachusetts Institute of Technology, for the school's group. 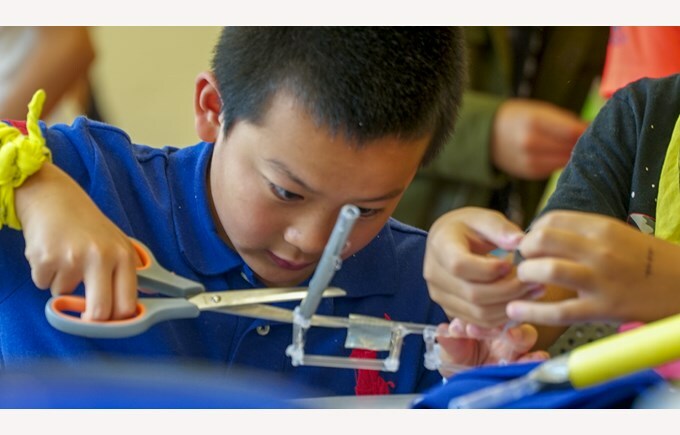 All schools in the Nord Anglia Education family participate in three MIT Challenges each year under a special theme. This year’s 'Superheroes' theme saw students take on a challenge that explored how the animal kingdom can inspire and improve engineering solutions and create solutions to human problems. Mr. Collins said that he looked to medieval knights as superheroes and used the idea as a conduit to teach his Year 1 students about natural materials and their properties. They learned how to use materials from plants and animals to build helmets, gauntlets and breast plates, creating wearable pieces of engineering inspired by nature. “That’s how we link ideas,” Mr. Collins said. 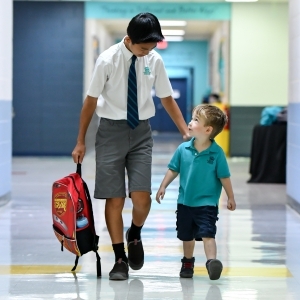 He said that one of the more gratifying and arguably sophisticated outcomes of STEAM learning is that it also encourages children to listen with curiosity, thereby allowing them to empathise and work with others. Mr. Collins enabled his Year 5 students to develop this quality through the Medical Marvel MIT Challenge by challenging them to build an invention to help support people living with a disability. “Using what they learned about light and sound, I wanted them to develop assistive technologies for someone who might be deaf or blind,” Mr. Collins said.